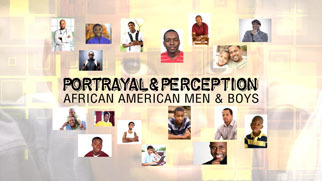 This multiple-part series explores how the media portrays African American males and how society views them as a result. The episodes also report on people and organizations working to spotlight positive rather than negative images. In this documentary, Minette Seate profiles leaders and members of Pittsburgh's Afro American Music Institute, which goes beyond teaching music to foster a culture of pride and community responsibility. As part of a special series of programs under the banner "Managing Marcellus" -- WQED will be presenting a LIVE forum on Energy & Economic Impact. WQED hosts Michael Bartley and Tonia Caruso will convene a panel of economic and Marcellus Shale experts. 32 counties, One vision, the Power of Regional Thinking. In this special, one hour town hall meeting, representatives of the Power of 32 lay out their goals and strategies for 32 counties in Western Pennsylvania, Eastern Ohio, the West Virginia Panhandle, and Western Maryland. The goal is to create one vibrant region by 2025 by sharing resources and planning in six key areas, the environment, education, transportation and infrastructure, people and communities, governance, and the economy. On September 11, 2001 the heroes aboard Flight 93 made an attempt to regain control of the aircraft after four hijackers took control of the aircraft's cockpit and diverted the flight towards Washington, D.C. The plane crashed near Shanksville, PA where a permanent memorial now stands. Michael Bartley talks to the residents of Shanksville about their memories -- and moving on. An original performance from the Unseam'd Shakespeare Company dramatizing issues raised by Marcellus Shale drilling in Western Pennsylvania. For more information and to view our other specials, visit our dedicated Managing Marcellus site. Everyone has a story. We can all look back on our lives and break them down into "chapters." The same holds true for patients with a life limiting illness who are living out - or thinking about - their last chapter. In this one hour documentary, we take viewers inside the hospital, hospice, homes and lives of palliative and hospice care recipients and providers.